A 90-year-old man with failing kidneys recently was discharged from a Kaiser hospital and sent home in a taxicab, without his family being notified, NBC Bay Area has learned. Now the family wants answers. Kaiser in San Jose has since apologized for the incident, but it's still unclear who made the decision to discharge William Lee without notifying his family and sending him home in cab. Dawn Ross, the patient's daughter, said he'll turn 91 in July, and has multiple health issues. "He has Level 5 kidney failure and also chronic heart problems, and his lungs were full of fluid," Ross said. "He's literally going to be passing at any time now, and a week ago, they shoved him in a taxicab and sent him home with no one." Lee was wearing nothing but a hospital gown and socks when he was discharged. Paramedics first took Lee to Kaiser on April 1. "He was having a lot of difficulty breathing and was clearly in distress," Ross said. According to his family, the hospital estimated he'd be released several days later on a Thursday. When Thursday came, Lee's son James got in touch with Kaiser. "I called up the hospital to see how he was doing because I was going to come visit him," James Lee said. That's when the family found out Kaiser had already discharged Lee and sent him to a board and care home that was listed as his address. "When I got here, the boarding care people told me that he had arrived there in a taxicab." his son said. The caregivers were so horrified they snapped a photo, Ross said. 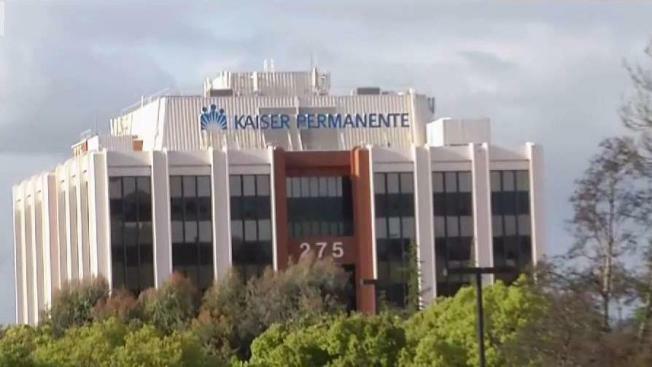 On Thursday afternoon, the senior vice president and area manager for Kaiser Permanente in San Jose issued a statement, saying in part, "What occurred is a clear violation of our policies and should not have happened."